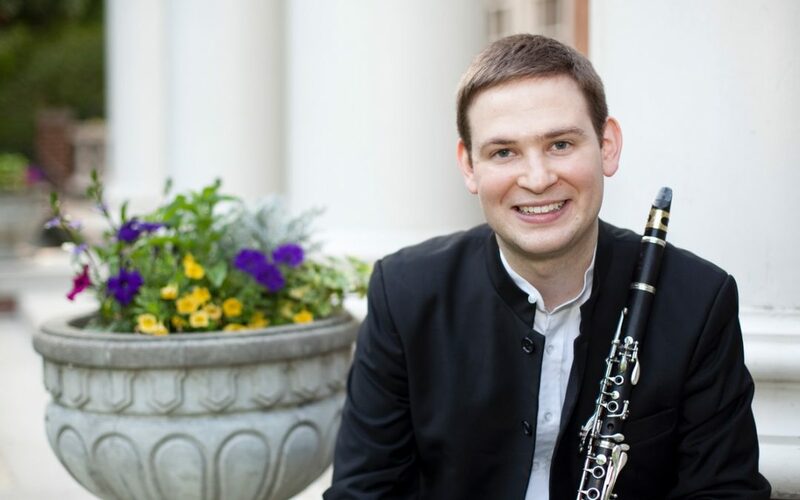 Recognized for his “rich, luscious tone quality” (The Clarinet), Rob Patterson is quickly establishing himself as one of the most exciting and versatile clarinetists of his generation. Recent orchestral appointments include Acting Principal Clarinet with the Louisville Orchestra, Acting Principal Clarinet with the Baltimore Symphony Orchestra, Principal Clarinet of the Charlottesville Symphony and a member of the faculty at the University of Virginia. Additionally, he has served as guest principal for the orchestras of Cincinnati, Richmond, Huntsville, and Modesto. Teaching engagements include featured guest at Morehead State University’s Clarinet day as well as masterclasses at The Grieg Academy, The Sibelius Academy, The Royal College of Music in Stockholm, the Norwegian University of Science and Technology in Trondheim, and the Norwegian State Academy of Music in Oslo. Particularly at home in chamber music, Mr Patterson’s performances have taken him across North and South America, as well as Europe and Asia. He has performed contemporary music as a member of the VERGE Ensemble in Washington, DC and was previously a member of the Philadelphia-based Ensemble 39, a mixed group of strings and woodwinds that is active in commissioning new works. While a Strathmore Artist in Residence, Mr Patterson presented a series of solo recitals, masterclasses, educational concerts, and a recital at the John F. Kennedy Center for the Performing Arts. Enjoying an ongoing relationship with Strathmore, he is frequently presented in recital both at Strathmore and in venues around the Washington metropolitan area.